Women have different tastes and preferences and are definitely more fussy when it comes to choosing the right clothes than the men. Despite this fact, they are all driven by the same passion which is to look good. Yet, the best women’s designer clothing is expensive and as such, majority are always looking for ways of cutting down on costs. Wholesale women’s clothing provides the perfect opportunity to achieve this end. Research thoroughly in order to find the right wholesale deal at a reasonable price. The fashion clothing suppliers, you choose should also have a good reputation. Women’s clothing moves with trends, so it’s must to be on the lookout for a supplier well equipped with the trendy supplies. You should have an idea of what is hot during a particular season in order to increase the probability of buying wholesale women’s clothing that matches up to the same. When buying wholesale women’s clothing, ensure you have an idea of the delivery and shipping terms. Majority of suppliers have policies that need to be followed and you should have these at your fingertips. This eliminates the possibility of your purchase costs doubling-up because you have to cater to other hidden expenses. There are very high chances that the clothing will be shipped to you for free and this is an added advantage as it makes it even cheaper. 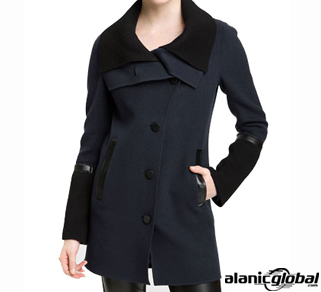 There are several benefits associated with buying women’s fashion clothing. Top on the list is the variety of wholesale dealers in the market. With this variety, you can choose one that suits your requirements. By choosing to shop for wholesale clothing, women also get the chance to enjoy a variety of options to choose from, resulting in the increase of your sales and reputation of your brand. With the fashion clothing suppliers coming online, purchasing them has become much easy. Quality is an important concern and when shopping for wholesale women’s clothing, this is not an aspect to vex about. This is attributed to the fact that they feature the highest quality clothing that is affordable as well.